Highlighting more than 2000 verses that wake us up to issues of poverty and justice. 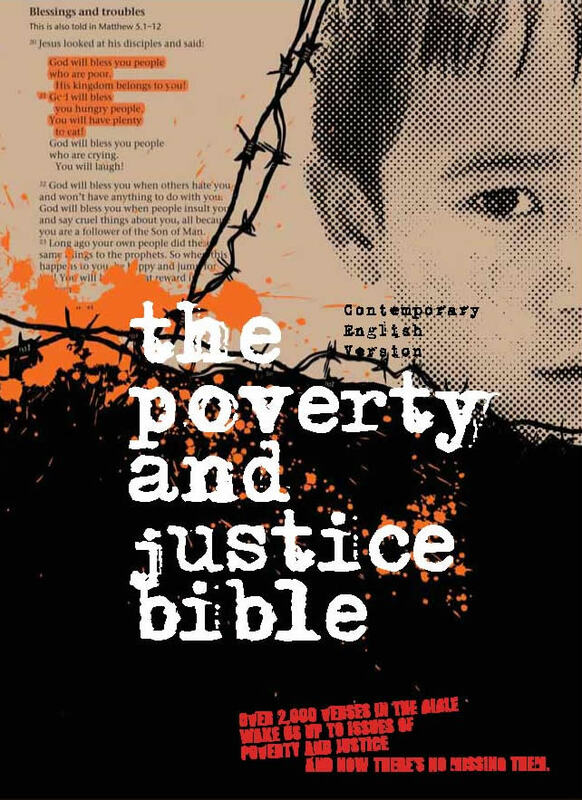 The Poverty and Justice Bible is your guide to explore God s messages and challenges regarding the poor. Backed by social justice campaigners including World Vision and other leading organizations, The Poverty and Justice Bible gives you: Clear and accessible CEV text Highlighted verses to clarify your understanding of God s passion for social justice. A unique 56-page study guide to support your individual research and group discussion. Practical suggestions on how you can make a difference in the lives of the poor and the oppressed. Paperback.